Managing Debt is a lot like cleaning a messy house. It’s mentally exhausting to think about, requires a lot of energy just to keep from getting out of control and it can be overwhelming to even know where to begin. But like any good cleaning regimen, there are ways to make it more manageable. These 5 tips can help you control and reduce the debt you owe, so you can go back to enjoying a clutter-free life. Getting into debt is a lot easier than getting out of it. But even if it seems like the odds are stacked against you just remember that you’ve got options and it’s up to you to choose the best way to manage your debt. One popular option is debt consolidation which basically takes all of the scattered debt you’ve accumulated and bundles it all together, usually at a lower interest rate thus saving you cash. Unsure of what this would look like? Freedom offers free advice and debt analysis to help consumers navigate this type of debt management. 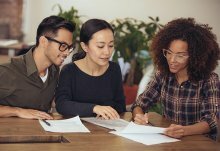 Accredited, another leading company, offers lots of different plans that are customizable - like credit counseling and debt settlement - so you can be in the best position to get out of debt. Other options of debt relief are consolidation loans and settlement. It's important to know your choices before deciding what’s right for you. Most services will have a debt consultant to inform you of the various options. Make a plan that includes your current debt and how you will resolve it. Most lenders will want to see a plan for the future of your business/finances, and having a plan will give you an idea of how much you should be paying monthly to resolve debt and a clear path to follow. It’s also a chance to think through the steps of future decisions. Tip# 3: Stick With it. No. Matter. What. Once you have your debt-clean-up plan, stay with it. Do whatever you need to do in order to make your monthly payments and don't get behind. This may be a struggle and might require some habit changing, but it will all be worth it in the end. Also, remember to take it slow. Like with our messy house analogy - one messy room is a lot easier to deal with than an entire home full of clutter. And that’s basically what debt consolidation is. If you have multiple expenses at varying rates being deducted at different times throughout the month, it might be more than your checkbook can handle. The longer you sit in debt, the more you end up paying for it because each month the amount of interest increases. If you can pay back a single debt or a large chunk of any of your debts, do it. Just check that there are no pre-payment fees involved. Knowing when to get help is as smart a business move as knowing when to buy or sell stocks. 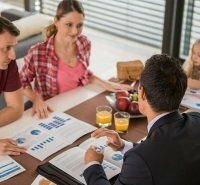 If your finances are just beyond your control, it’s time to reach out to some of the reputable and reliable financial services for some assistance. 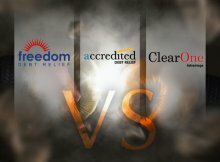 Freedom Debt Relief and Accredited are two services that are here to provide you with the financial assistance you need to resolve your debt issues. Get in touch with debt consolidation experts at the company of your choice to find out more about taking control of your debt.